cancers that are difficult to detect using mammography. The procedure involves the use of a radiotracer called Technetium-Tc99m-Sestamibi that is injected into the patient’s bloodstream and accumulates in cancerous tissue. 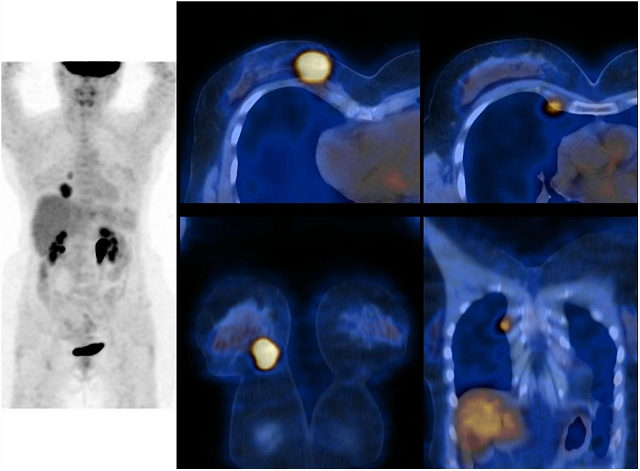 Images acquired with a special gamma camera modified for breast imaging reveal abnormal areas where the radiotracer has distributed.